Christmas Eve is going to look a little different this year. There’s no milk for Santa to go with his cookies. 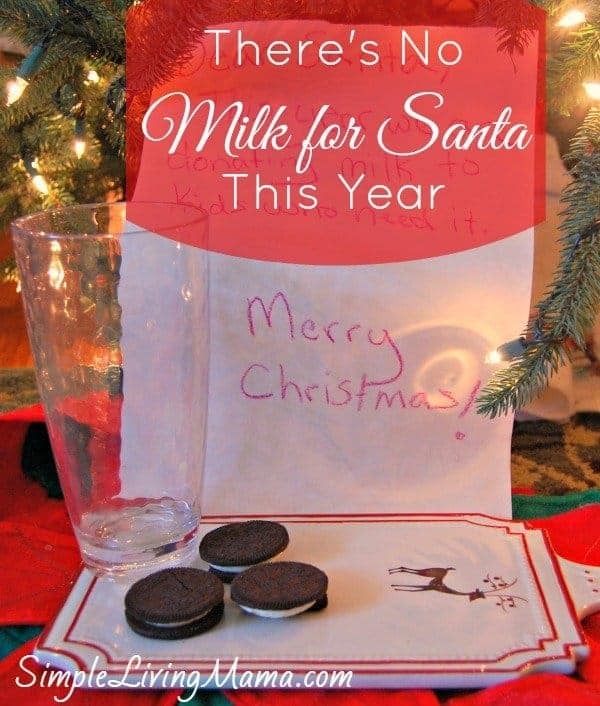 When I first told my kids that we weren’t going to leave any milk for Santa, they got pretty upset, but then I explained to them why there’s no milk for Santa. Though we have had our share of hard times, my children have never known what it is like to go hungry. There’s always a gallon or two of milk in the refrigerator for them to drink in the morning, pour over their cereal, or stir some chocolate syrup into for a snack. They haven’t had to go without it, and I think we all take for granted the food we eat every day. Not everyone is so fortunate. Did you know milk is one of the least donated items to food banks? On average, food bank clients receive less than one gallon of milk per person per year. Milk provides 8 grams of protein per serving, as well as calcium, vitamin D, and potassium. Many people are missing out on this food source simply because they cannot afford it, and it is not available at food banks. I sat my children down and explained to them that not everyone can have a cup of milk whenever they want it. 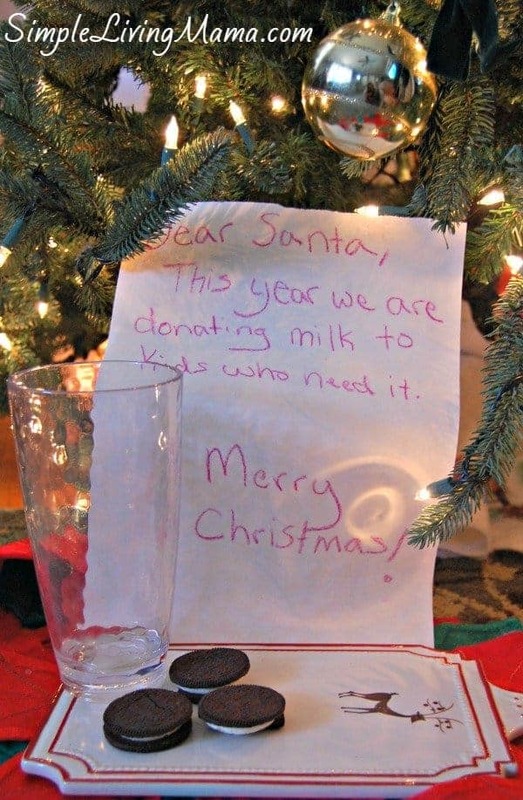 Santa gets plenty of milk and doesn’t need anymore, but there are other kids around the country who do. Gallons are Gifts this year. 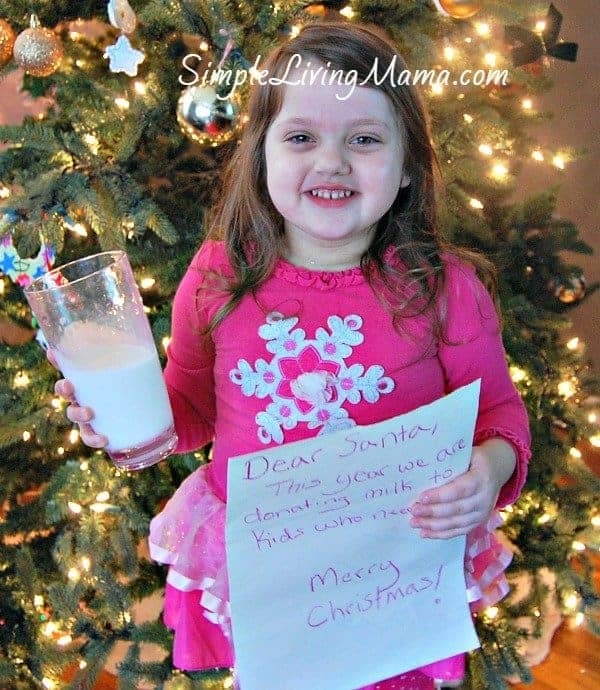 Through the Great American Milk Drive, you can donate from now until December 31st and America’s dairy farmers and milk companies will match your donation. You can even enter your zipcode to ensure that milk is delivered to a food bank in your community. For every share of the Great American Milk Drive video, a one-gallon donation will be made to one of more than 200 food banks served by Feeding America. Give the gift of nutrition to someone who needs it this holiday season. 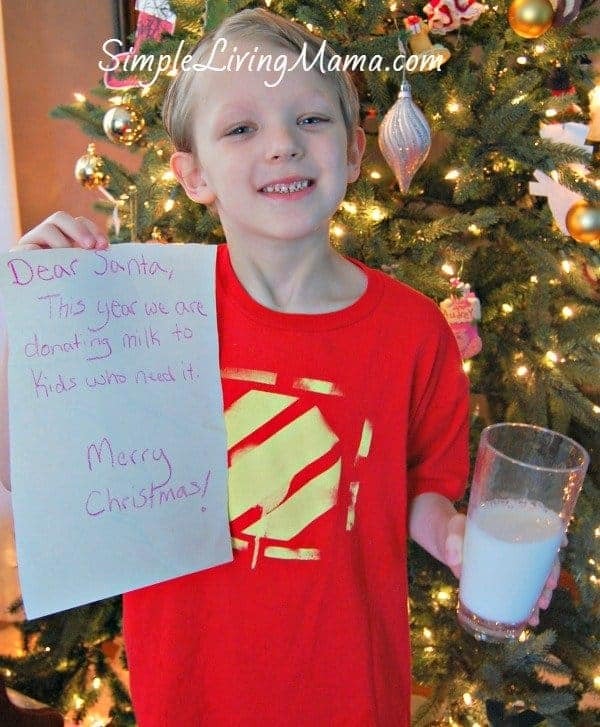 Donate to the Great American Milk Drive.